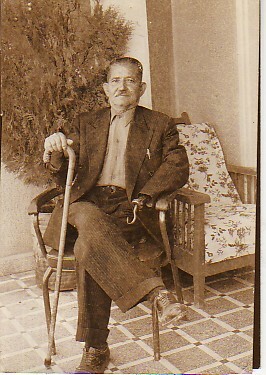 Above: My father, Paleologos (1891- 1975)who was the first in Vatousa to bring a Ford five-seater passenger car. We used to take people to and fro Mytilene, and he often transported the mail around nearby villages- as far as Andissa. 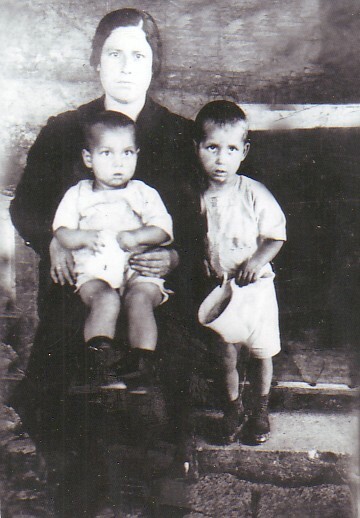 Above Right: My mother, Ekaterini, holding me as a child. Next to us is standing my brother, Vasilios. 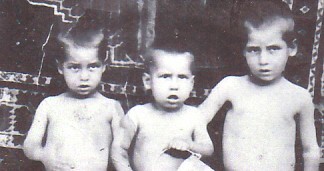 Above: With my two older brothers, Fotios (left) and Vasilios (right). 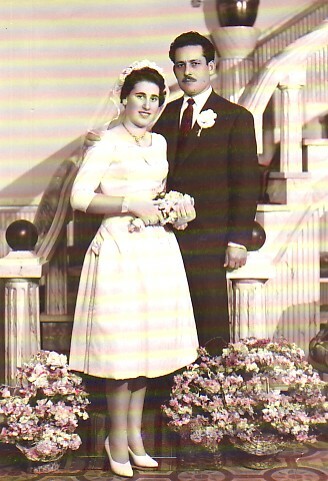 Above: The Kontellis Family. In the late 1960's, my father, Paleologos, came to Australia for a holiday. 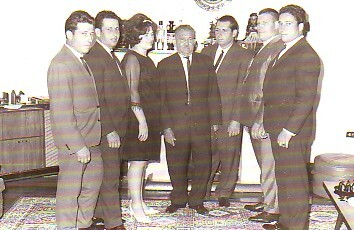 From left, we are: my brother, Giorgos; myself; my sister, Fotini; our father, Paleologos; and my brothers, Vasilios, Andonios and Stratis. Above: With my wife, Myrta. 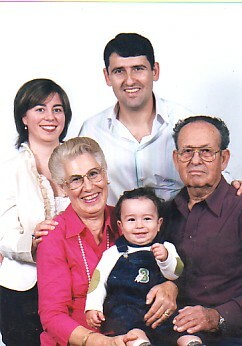 Above Right: With my wife, Myrta, our son, Fotios, our daughter-in-law, Athina, and our grandson, Ioannis.